Limited aged care and health services in remote Australia triggers an unnecessary number of preventable hospital stays, according to recent a Royal Flying Doctor Service (RFDS) study. Rates of all cancers are higher in rural and remote areas than in cities, but country areas lack reasonable access to oncology, haematology and palliative care. The report also found that those living in remote areas are more likely to develop a chronic illness at a younger age (65) compared to those in major cities (70). 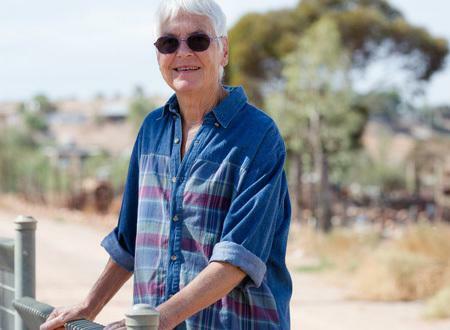 “The population of remote Australia is getting older, but the nation is yet to work out how to support people to age and stay in the bush,” RFDS Chief Executive Dr Martin Laverty says. The Barkly and Alice Springs regions in the Northern Territory, the Kimberley in Western Australia, and Bourke to Coonamble in New South Wales had the highest preventable heart conditions. Hospitalisation of remote stroke patients was found to be 1.5 times higher than for city residents, but less than eight percent of the nation’s stroke rehabilitation services are rurally based. Dr Laverty says the report calls for expanded cancer care in rural and remote areas, together with increased cardiac and injury rehabilitation, expanded dementia and aged care services. “Ageing of the remote population is occurring faster than in other areas. The Royal Commission into care of the aged needs to consider remote needs,” Dr Laverty says. Aged Care Minister Ken Wyatt says there is no “quick fix” but adds that RFDS’ push for targeted, innovative services for managing chronic heart disease, cancer and neurological illness will improve results for senior Australians in the rural and remote areas and “lead to a better quality of life in their later years”.